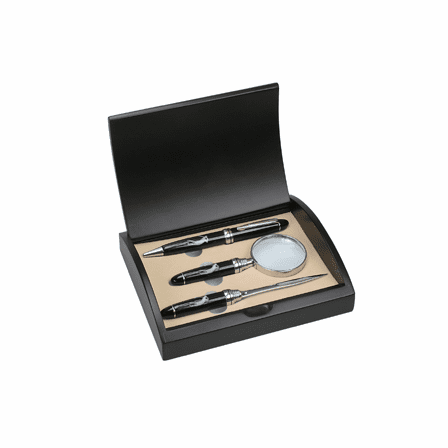 Give something out of the norm this year and delight your favorite links fanatic with this Golfer's Theme Magnifying Glass, Pen & Letter Opener Gift Set from the Executive Gift Shoppe. 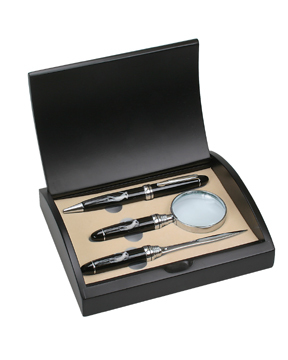 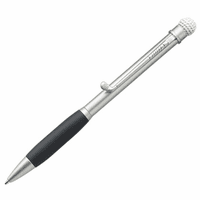 This gift set includes a pen, letter opener, and a magnifying glass that are all adorned with a golfer emblem on the barrel. 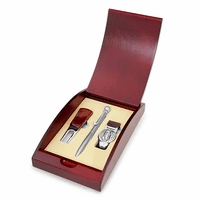 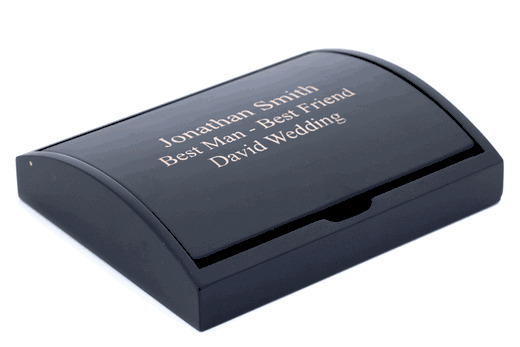 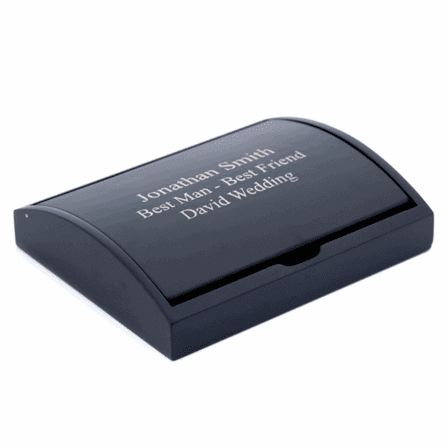 It comes to you in an arch wood presentation box that can be personalized with custom laser engraving free of charge. 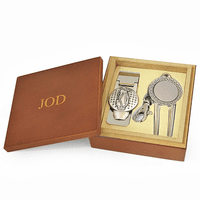 This set is ideal as a corporate gift or employee recognition award for golfing enthusiasts and weekend duffers alike!